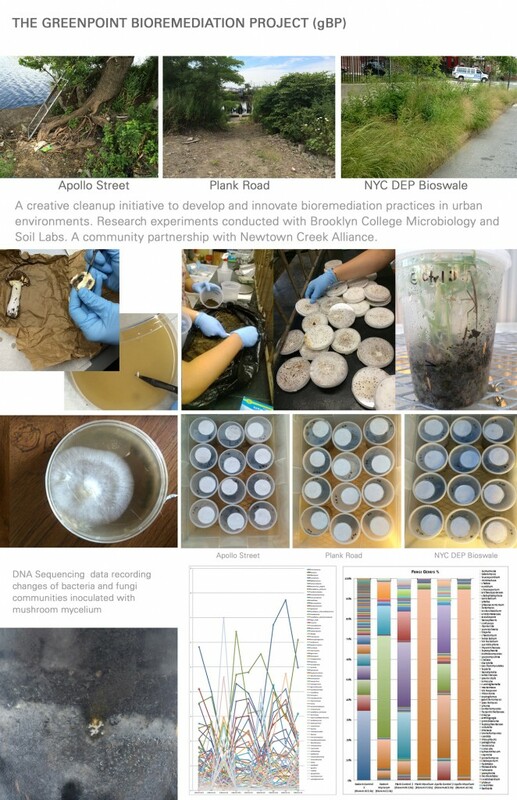 The Greenpoint Bioremediation Project (gBP) is an interface that activates the use of mycoremediation, beneficial microbes, and art to incite the imagination of a historically contaminated community. As social sculptures they take their form as a creative cleanup and community partnership to develop and innovate bioremediation practices for stakeholders in Greenpoint, Brooklyn. Despite historical contamination, Greenpoint has been increasingly populated in past years through rezoning measures adopted in 2002 and 2005. New rezoning proposals were made in 2013 to the NYC Department of City Planning to further increase mixed-use and residential housing in Greenpoint in the near future. While widespread contamination persists, knowledge of area toxins, as well as the resources to improve soil quality, benefits new and existing residents alike. 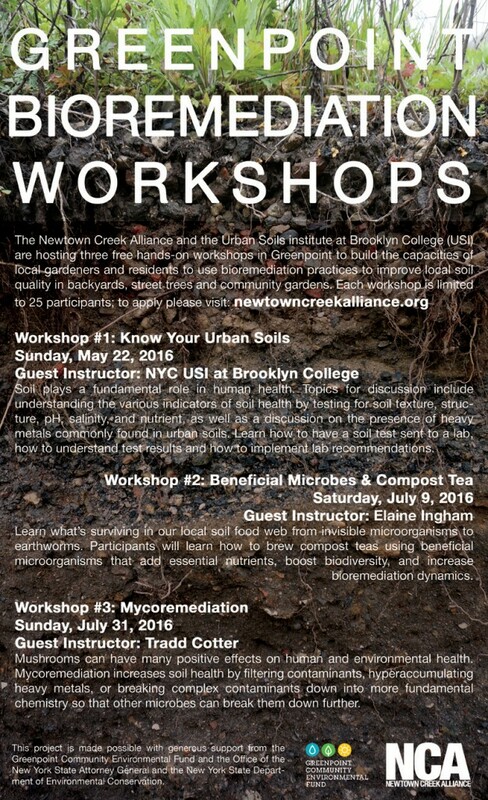 In 2016, the gBP was able to install a community compost tea brewer, stock the public library with books on bioremediation and offer three workshops to the community on Know Your Urban Soils, Beneficial Microorganisms and Compost Tea, and Mycoremediation, taught by leaders in the field. A field guide poster on these same topics is currently being produced.